We are a small organization dedicated to saving lives of no longer wanted German Shepherds. We love the breed and all it has to offer and have respect and understanding of its too often misunderstood nature and behaviour. Please stay a while and visit our pages. Whether you are looking for a companion to add to your family, just looking for information, or need support with taking care of your own German Shepherd, please surf our pages. Afterwards, please let us know what you think. This in turn will help us to become a better rescue. On June 29th, 2001 the Toronto German Shepherd Rescue was featured on Toronto's Breakfast Television on CITY TV. 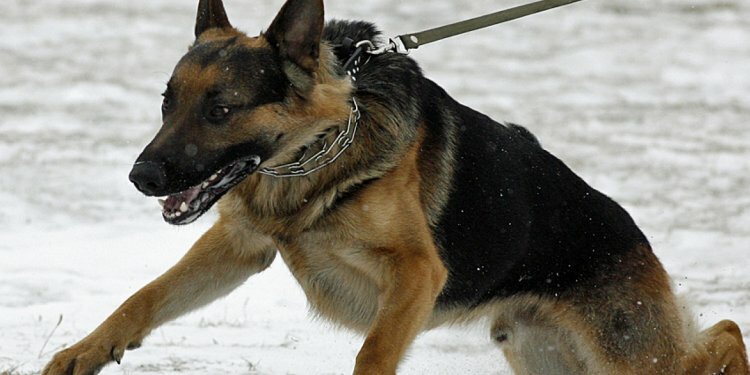 This gave us an opportunity to stress the importance of German Shepherd as man's best friend. Two of our two rescue dogs, Lady and Benz, were trying to make the good impression even though the strange, noisy environment of the busy TV station terrified Benz. (There were racing cars and kangaroos featured the very same morning). We're very happy and thank Breakfast Television for this great opportunity! In our efforts, we relay on dedicated volunteers. We are very, very lucky to have Frieda; she was sent to us by an angel. She joined as a volunteer, fell in love with Reena, our rescue girl, and adopted her. Frieda helps with various events, she helps with fundraising, helps with walking and socializing rescue dogs who lack social skills and need that extra individual attention- we could not survive without Frieda's help. We could not succeed without foster homes. Thank you to all foster moms and dads. We are looking for more members to join our group. We need people who can help to better organize our efforts. We need foster homes, education, outreach, resource work, and fundraising. If you would like to get involved, please e-mail or call us. We are always looking for new ideals and new people. To see the dogs available for adoption, please click the Dogs for Adoption button, we post pictures of new dogs as soon as possible. If you wonder whether a German Shepherd Dog is a Right Dog for you, or what to expect from a rescue Shepherd, please look at our Resources page. Now and then we come across some bits and pieces of poems, letters or interesting articles. Some of them are inspiring, some amusing, some educating. Some touched our hearts deeply... We want to share them with you... Please visit our This 'n That Page.